Donald Anthony Keys, 78, of Kansas City, Missouri, was born, July 4, 1940, the son of Bertram and Elizabeth (George) Keys. He departed this life, Monday, January 28, 2019, at the St. Joseph Medical Center, Kansas City. 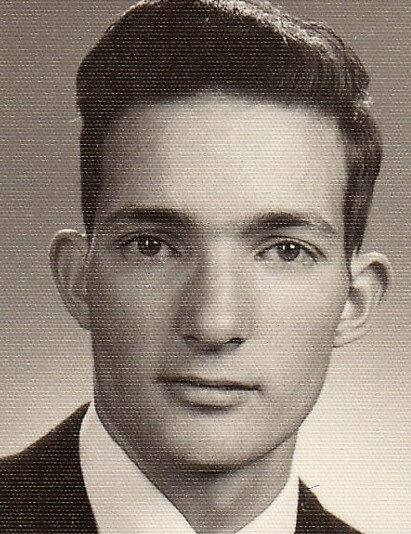 Don was a 1959 Bishop Lillis High School graduate. He had also been a pitcher in the Ban Johnson Baseball league and was scouted by the Chicago White Sox until an injury to his elbow brought his play to an end. Don was employed as an Absenteeman on the assembly line at the General Motors Leed’s Plant in Kansas City, retiring in 1985, where he was also a member of the United Auto workers. His love of golf led him to caddie at the Blue Hill’s Country Club for many years. He enjoyed all aspects of golf; besides caddying he also enjoyed, collecting, refurbishing, and reselling antique golf clubs. He was a consummate movie watcher. He will be long remembered for his passion to serve others. His life modeled the true Corporal Works of Mercy set forth by Christ’s teaching. He was always willing to give of himself to anyone who was in want or need. Don was preceded in death by his parents Bert and Elizabeth Keys one son, Jeff Keys, and one brother, Bert Keys. He is survived by his son and daughter-in-law John and Sarah Peppers-Keys of St. Joseph, Missouri; his daughter, Colleen Speers of Raymore, Missouri; his sister, Joanne LeBow of Lincoln, Nebraska; 10 grandchildren; 4 great grandchildren; other relatives and friends. A memorial service was held Wednesday, February 6, 2019, at the funeral home. Deacon Joshua Fultz officiated. Memorial contributions are suggested to the City Union Mission and may be sent in care of the funeral home.